Living in San Diego County, you may commute by foot at least part-time. Established public transportation systems make travel easy for people who don’t own a vehicle. Unfortunately, walking can be risky for pedestrians. Hundreds of pedestrians suffer injuries or death in Southern California each year. Overall, annual pedestrian fatality rates are dropping in California, but pedestrian deaths for people age 65 and older are rising. If you or someone you love has been seriously injured in a pedestrian accident due to a driver’s negligence, it’s important that you understand your legal rights. 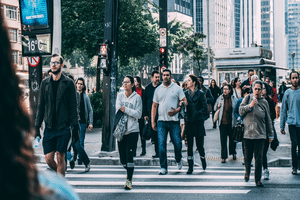 To help you do so, our San Diego pedestrian accident lawyers have put together this page to introduce you to pedestrian accident laws in California. We’ll discuss how to obtain financial compensation and what the timeline is for a pedestrian accident lawsuit before telling you how we can help. Can You Receive Compensation for a Pedestrian Accident? 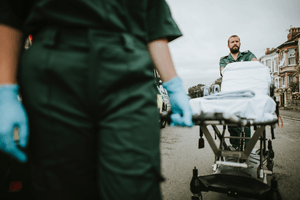 When you’re injured in a pedestrian accident due to a driver’s intentional conduct or carelessness, you could be entitled to compensation for your injuries and losses such as medical bills and lost wages during recovery. You have two options after your accident: file a claim with the insurance company or file a lawsuit in civil court. If you were hit by an insured driver, you can make a claim with their insurance company. However, negotiation and settlement proceedings can be lengthy and complicated without help from a San Diego pedestrian accident attorney. Insurance adjusters will always offer you as little money as possible and expect you to give up your right to sue the driver. Pedestrian accidents can be devastating. Sometimes the only way to receive enough compensation to cover your injuries and daily expenses is to file a personal injury lawsuit. Is There a Cutoff Date for Filing a Pedestrian Accident Lawsuit? As a pedestrian hit by a car in San Diego, you probably want to know how long a typical case takes to resolve. California pedestrian law allows two years from the date of the accident to file a claim. This procedural rule is known as the statute of limitations. Once you file your claim, several factors can affect the length of time it takes to resolve, including the complexity of the legal issues involved and the severity of your injuries. For serious injury cases, liable parties will probably be eager to settle out of court because a judge or jury is likely to award you a high amount of damages. Your lawyer will help you determine if a settlement offer is fair based on your injuries and other losses. If your case does go to trial, the process can last several months to several years. Once you hire a lawyer, we can help you understand how long your lawsuit is likely to take. Why Should You Hire a San Diego Pedestrian Accident Attorney? Working with an experienced personal injury attorney gives you the best chance of winning your accident lawsuit. The Jorgensen Law in San Diego will help you gather evidence to back up your claim and relieve the stress of navigating a complex legal system or settlement process. Our lawyers can be trusted to fight aggressively on your behalf as we work on a contingency fee basis. We only collect a fee if you win your case. Our success rate in obtaining large verdicts and settlements for our pedestrian accident clients cannot be ignored. Contact us today at 1-888-855-2948 or fill out our online form for a free case evaluation.